For the birdkeeper, colloidal silver may prove to be the solution (pardon the pun) for many ailments which, so far, have proved untreatable and even a mystery as to cause. French moult, going light, parasitic infestation, breathing problems and many, many more may prove to be things of the past. After all, if it doesn’t effect a cure, or prove to be an efficient pre or probiotic in a particular case, nothing is lost. Sale! Sovereign Silver – a natural antibiotic that dates back thousands of years. A 99.999% pure bio-active silver hydrosol. It’s ability to heal eye injuries and wounds makes it a must have in your of bird care arsenal. Compare silver products. Certainly, pigeon fanciers, many of them reputed experts, are reaping the benefits of colloidal silver, if their enthusiastic reports are anything to go by. Many, claim that their birds are flying faster, have more stamina, and have never been in better racing condition since ingesting regular amounts of the substance. Breeding results, it is said, have also improved. Hens, seem to be producing more chicks than before with less clear eggs. 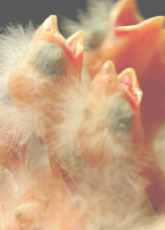 Chicks, are reported to be healthier and hardier in the first few weeks of life, etc, etc. Although colloidal silver has no known side effects and is non-toxic unless extremely large amounts are consumed. A modern-day properly prepared colloidal silver solution should be .001 microns in diameter with a concentration of 3 - 15 parts per million (PPM). Some idea of the size of these particles can be gathered from the fact that a cubic millimetre is estimated to contain 1,000,000,000 particles. These particles are animated by what is known as brownian movement and are enabled to remain is suspension in a liquid medium almost indefinitely. The colloid can be administered either neat, or diluted with water depending on the purpose for which it is intended. Furthermore, at the aforementioned strength(s), a great deal of lassitude is offered for those wishing to experiment with dosages and dilutions for a specific purpose(s). 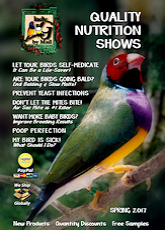 Although the use of colloidal silver for the treatment of avian ailments is in its infancy in this country, it is becoming increasingly popular amongst birdkeepers in the USA. Many of the symptoms and dosages detailed here have been gleaned from these sources. Because colloidal silver works as a catalyst not a chemical and does not interact with other medication or organ function and there are no ill effects recorded when using the substance in humans, animals or birds, dosages are not critical. Undefined illness. I.e., bird fluffed up, usually resting on cage floor etc. Dosage (At 10 parts per million (PPM)). Introduced orally by dropper or syringe Small Birds approx. 117 grams bodyweight, 1/4ml neat solution 3 times daily for 7 days. Dosages may be adjusted up or down as the situation requires. As far as is known, there are no ill effects after recovery. 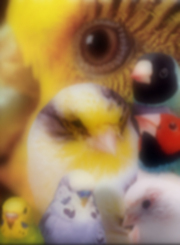 Eye and Ear Infections: All animals and Birds. 1 - 4 drops depending on size. Should clear up in 24 hours. Conjunctivitis: Once drop of neat solution in the eye for 2 days. Sinus: Use a syringe to inject colloidal silver through the nostril openings into the sinus. Dosage 1 drop for finches to 1ml twice daily until infection clears. The latter dosage is for larger birds such as Amazons and Macaws. Clean the area thoroughly with the neat solution. Re-apply daily until the wound completely heals. Clean the egg thoroughly with warm colloidal silver and wipe dry. Moisten a ball of cotton wool and place the egg on top to allow the liquid to soak through the shell into the embryo. Continue to moisten the cotton ball inside the incubator as required to keep it dam during incubation. Adjust humidity accordingly. Once drop liquid silver orally once a day until liver returns to normal. 1ml neat solution per day given orally by dropper or syringe for large birds. Repeat for 7 days. For smaller birds (Finches & Budgerigars etc) 1 drop per day for 7days. The solution can be mixed with the drinking water at a ratio of 1ml to 100mls, all sizes of bird. This bacteria can multiply quite quickly (Often in 24 hrs) in drinking water which has become contaminated by food dropping from the birds beaks as they drink. This water and food can quickly become a clouded soup of bacterial growth. By using colloidal silver in the drinking water, the drinker stays clear even after 48 hrs.Recommended concentration is 1 Teaspoonful of colloidal silver to 1 gallon of water and pro rata. A toxicity study conducted with rats at the Division of Comparative Medicine at the University of Toronto in 1995 concluded that there were no observed effects from colloidal silver within the treatment period. When extrapolated to the human scale, the data showed that an individual weighing about ten stones would have to ingest 3,600mg of colloidal silver to receive an amount equivalent to that given to the test animals. This corresponds to the injection of 1ml of a solution containing 300,000 parts per million (PPM) of colloidal silver. When that the aforementioned dosages for birds relate to strength of a mere 5 PPM, one can readily understand that such a small amount could be likened to a teaspoonful of solution poured into the sea! The medical information and procedures contained in this leaflet are not intended as a substitute for consulting your veterinary surgeon. Any attempt to diagnose and treat an illness should come under the direction of a veterinarian, particularly one who is familiar with nutritional therapy. 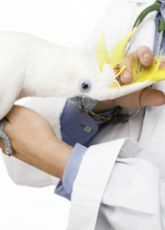 The symptoms as described are only intended as a general guide and are not in any way, shape, or form a specific diagnosis for a particular birds illness. The information on colloidal silver is simply a collection of information in the public domain, and presented strictly for information and educational use only. Information conveyed herein is based on pharmacological and other records both ancient and modern. No claims whatsoever can be made as to specific benefits accruing from the use of colloidal silver.